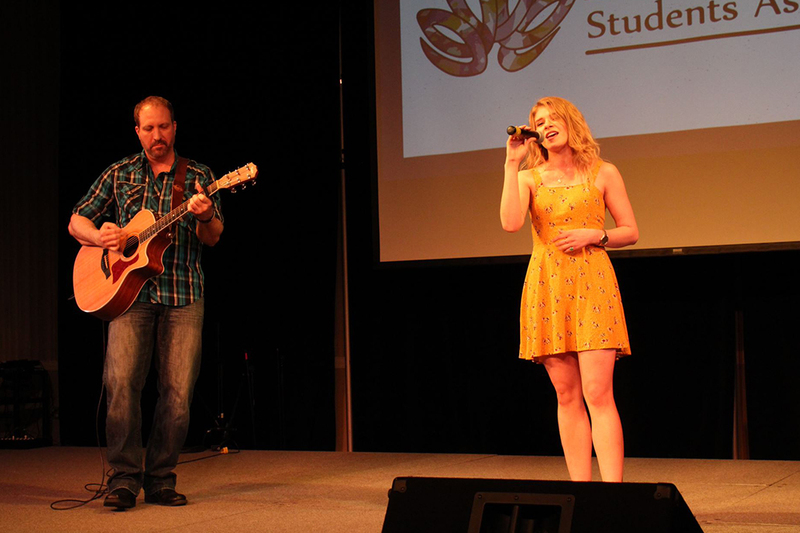 MARYAM BUKHARI | THE SPECTRUM NDSU students showed off their talents at Night of Nations. While the Fargo-Moorhead area offers many job and educational opportunities, it has a lack of diversity, which can make people of various ethnic backgrounds feel alone. 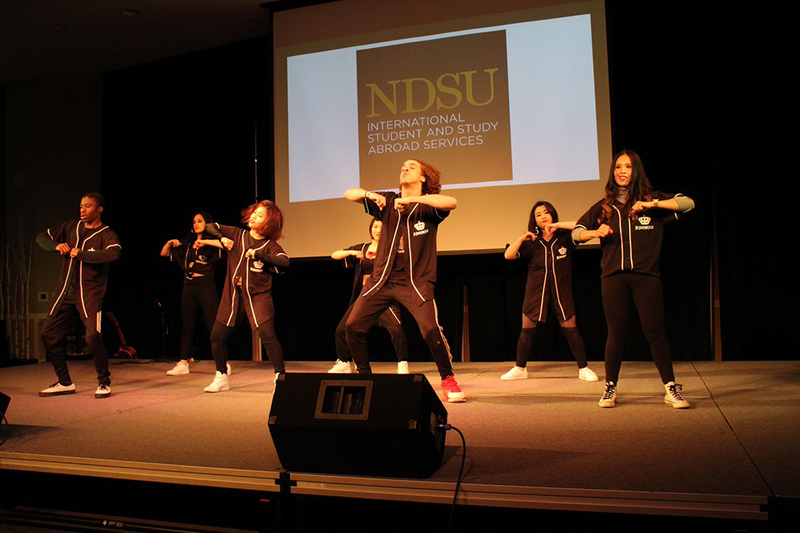 The International Student Association (ISA) at North Dakota State is working toward celebrating diversity and culture by making everyone feel welcome in the community. 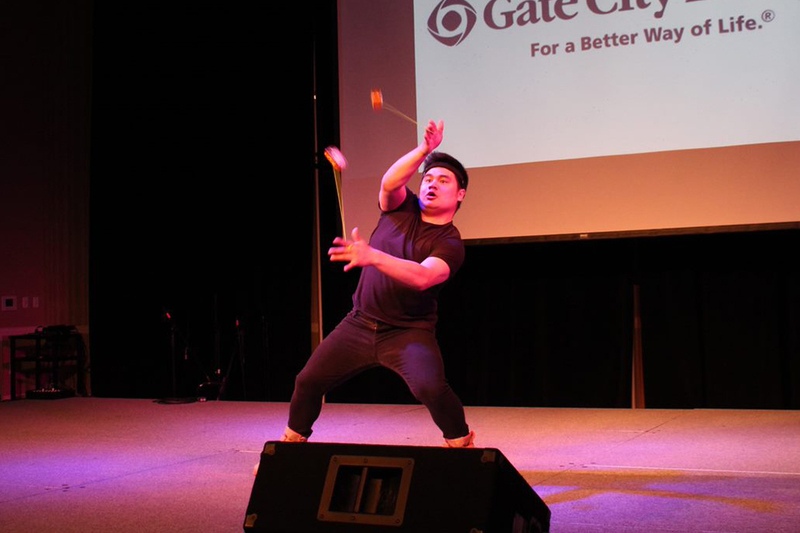 On April 6, Night of Nations, an event hosted by the organization, focused on henna, dancing, singing, spoken words, food from around the world and a known yo-yo performer. Events like the Night of Nations have an impact on the diverse students at NDSU because they feel like they have a voice, their cultures are being represented and the community is becoming more educated. Siddhant Khemani, president of ISA, was born and raised in Dubai. Khemani is a current NDSU student and explained the importance of offering different perspectives of culture on campus. “The community coming together, supporting diversity, meeting new people from different cultures — everybody can have an experience of what the world is with just a little bit of a different perspective,” Khemani said. Through this event, the organization was able to bring the community together, which was a need for those who could feel alone by the lack of diversity. It gives a chance for international students to socialize and have others learn about their cultures. “We (ISA) wanted everybody to come together for one night, relax and in the end, everybody goes home happy, smiling,” Khemani said. Those who attended the event found it comforting to see the support that people have for each other. “It is nice to see it turn out, support the school and the community,” said Shari Krabbenhoft, a contributor of the event. 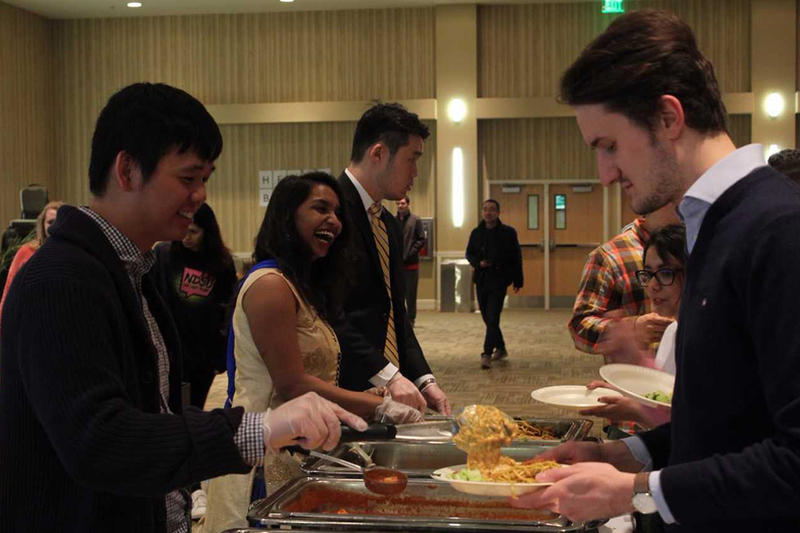 The event not only brought attention to different cultures, but it allowed those involved in creating and hosting it to work together and create a bond as well. ISA members were able to share their knowledge of different cultures and work together instead of one person doing all the work. Without the teamwork of ISA, the audience and the contributors the event would not have been as successful. “My wife (Shari Krabbenhoft) and I have been involved in this for over 10 years, so it is important for us to show our continued support,” said Jay Krabbenhoft, contributor and senior vice president of administration from Gate City Bank. The support of those involved create the meaning of the event and truly showcase the importance of cultural diversity. Attending these events is a chance to observe different cultures, and many students are encouraged by the diverse groups to do so. It can create a connection with someone of a different culture and is a “really good opportunity to see who exactly is in your community,” according to Narum. With this event, it seemed as though it would have been traditional cultural dance routines being shown to appreciate one’s background, but instead it was an equal opportunity for international students to work together to showcase their talents. Spoken word performances included empowerment in race to motivate the audience to feel proud of their background. The Crown, a dance group on campus, showcased their talents in a routine with a surprise split at the end. The NDSU Hip Hop Team also showed off their skills throughout the night. Contributors that offered their support and made the night successful for the students were: Lutheran Social Services, Gate City Bank, International Student Association and Study Abroad Services.